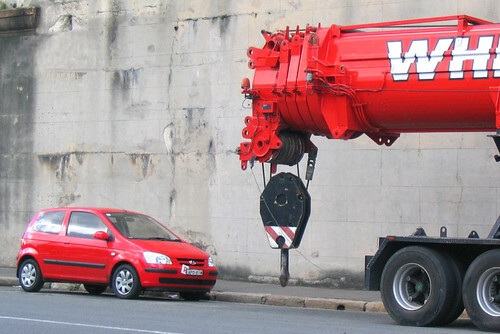 It took some time, but eventually I wondered if using an OOP approach in page scripts was like using cranes to tow compact cars. It turns out the developer working on a single page doesn't need to build or consume big, strong abstractions for programming "in the large". It's become clear over the last several years that function() is the right-sized abstraction. You find the DOM element and I'll tell you how it should behave. You wire up the click event and I'll tell you what to do when it's clicked. Give me functions that figure out the hard stuff and let me fill in the details. This doesn't mean there isn't value in modifying prototypes, but I think the prototype approach has a greater value in building libraries, APIs, and core infrastructure pieces. For page scripts the ability to program against a functional API allows a developer to separate concerns in a concise manner, and compose complex behaviors using smaller pieces of raw material. Sometimes these pieces of functionality even carry state, but the state is wholly encapsulated in a closure. There is a lot of change on the horizon as features like background processing, local storage, and a drawing canvas will come with the browser for free. Will the language and paradigms support programming in the large? generally when I have a single page to code and very few/limited features to handle,I use light weight abstractions. I guess no point going all crazy over oop unless I code huge frameworks eg:openlayers.